109,000 trade visitors from 110 countries all looking for the latest retail developments from the 2,226 exhibitors. The Bright Green Team had a fantastic time at EuroShop at the end of last month. The show attracted 109,000 trade visitors from 110 countries all looking for the latest retail developments from the 2,226 exhibitors. We had a space in the massive 16,600m2 lighting hall. The hall had everything from corporate light concepts, to extremely extravagant decorative lighting. On our stand we were showing our LED Light Panel and LED Light Box – the slim, double sided box in particular drew a lot of attention. 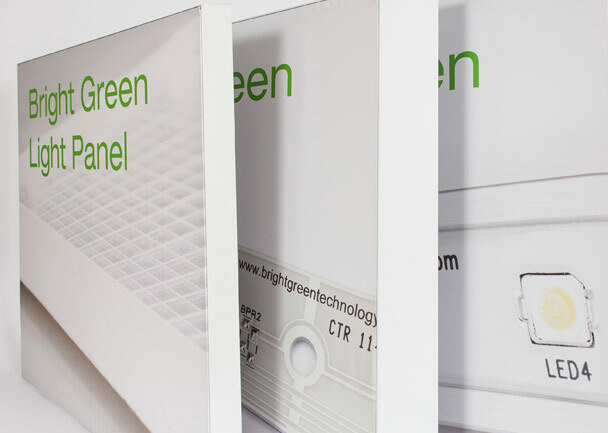 If you weren’t able to make it along to the show but would like to speak to us about light boxes, LED panels or any other type of retail LED lighting, please call us on 01932 355 221 or drop us an email to info@brightgreentechnology.com.